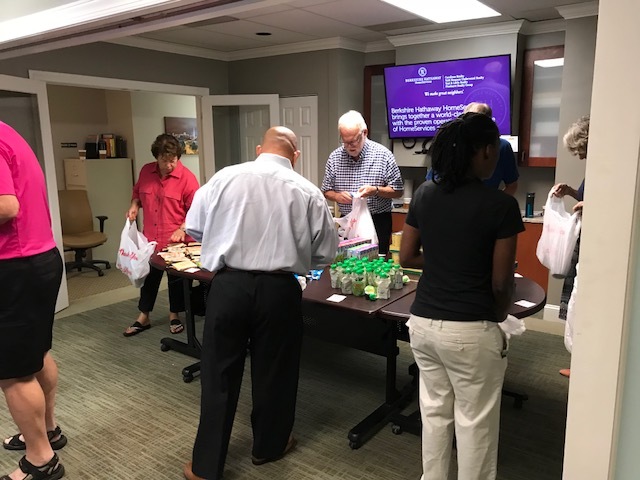 We are so appreciative of our friends at York Simpson Underwood Realty / Berkshire Hathaway Home Services Realty, on Morreene Road in Durham, for their kindness in hosting us for our new Backpack Buddies Packing season, 2018-2019 School Year edition. 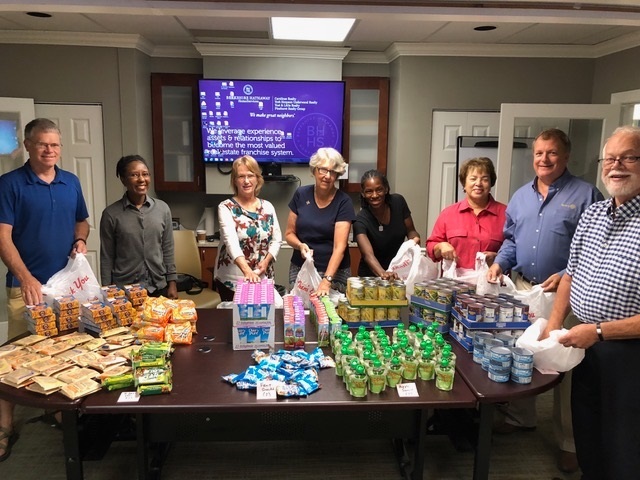 As in the past, this is a complex and ambitious Service Project to undertake — purchasing and packing around 2,000 items each month into 4 weekly packages for 24 food-insecure students and their families at Forest View Elementary — and doing it at 7 AM, before any of us is really awake — and this time, in an unfamiliar location ! But what a terrific location it is, and before we knew it, we were off and packing — and in fact, finished 20 minutes early, which we can only attribute to great karma and superior feng shui ! 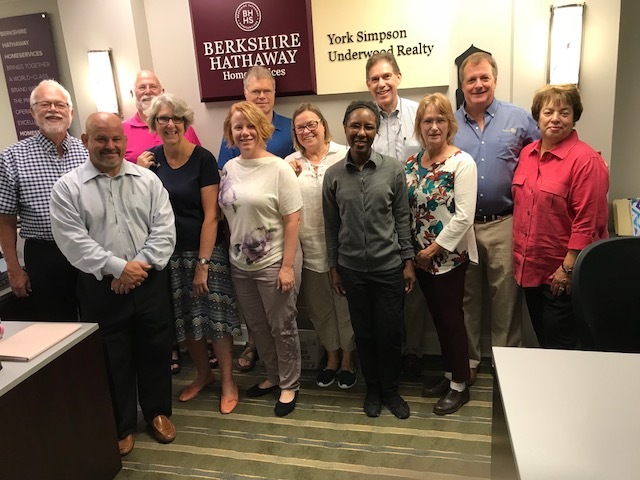 Special thanks to our fellow member, Sally Clark, and to Tracy Goetz, Managing Broker in the Durham office, for welcoming us to their fantastic location, and helping us to serve our community !